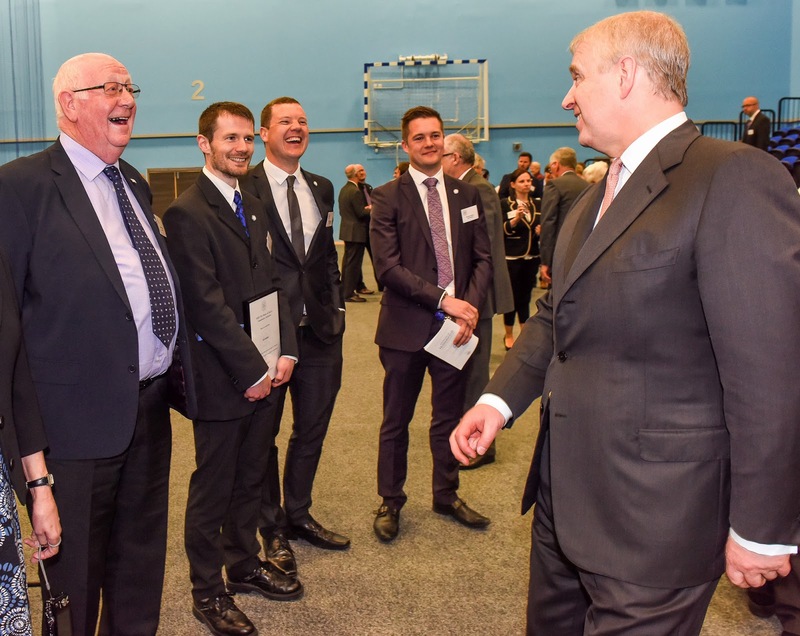 The Apex Challenge has been given Royal approval with a prestigious award from the Duke of York's Community Initiative. 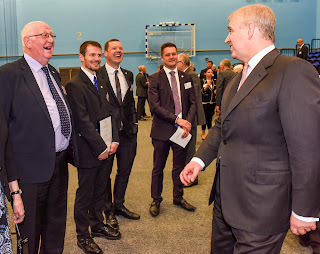 Three members of the Apex Challenge team received the award at a glittering ceremony at Huddersfield University, where the Duke had chance to meet the recipients, and asked about how our unique events worked. 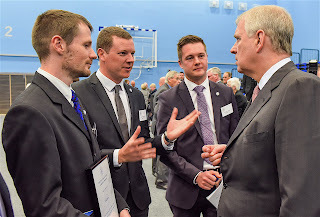 Matt Richards, James Webster and Richard Garrett spent the day meeting other recipients of the award from a wide range of charities across Yorkshire, and got the chance to speak directly to Prince Andrew about the charity's events. This acclaimed recognition followed a lengthy assessment period during 2015 where assessors spent time looking at how the Apex Challenge combines technology and adventure. Two of the award's assessors visited the Apex Challenge event at Bramham Park in 2015 to see the competition for themselves. The citation received by the Apex Challenge read: "The Apex Challenge combines outdoor adventure with the very latest cutting edge technology. The activities cover mental, physical and team challenges such as problem solving, high wire courses, caving and canoeing. Since its formation in 2002 the charity has held 22 different events across the whole of the north of England - each involving up to 500 people." 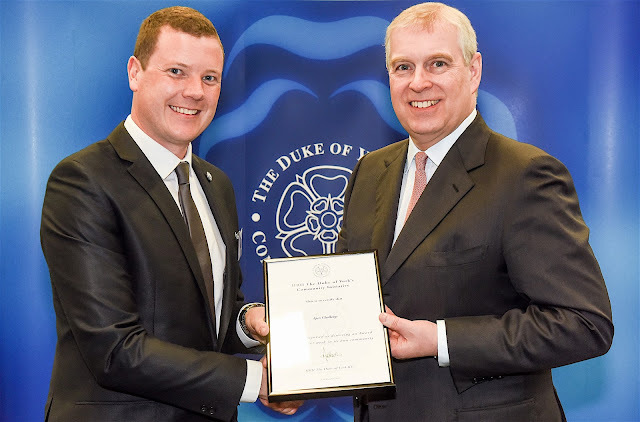 His Royal Highness the Duke of York said, "Over the years the Initiative had sought to extend its remit so that now it not only recognises and rewards outstanding community work but in so doing seeks to enhance society by encouraging award holders to continue to do all they can to break down barriers between both organisations and people." 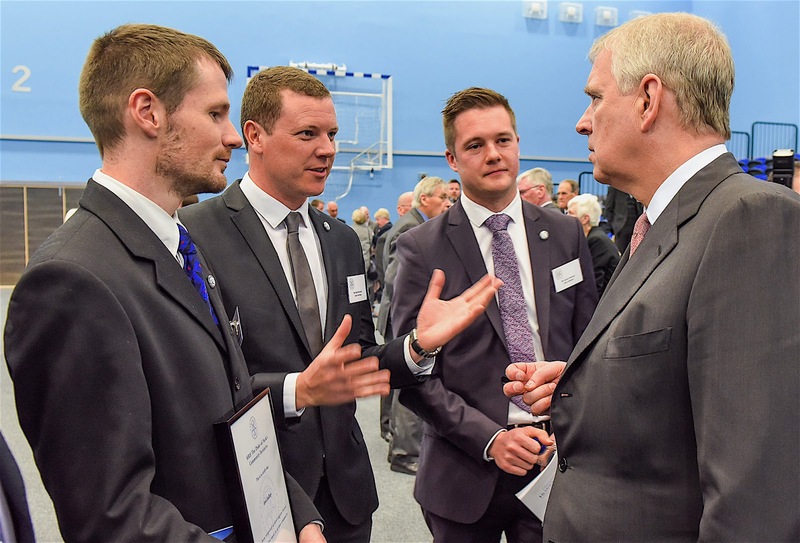 Event Director Matt Richards said, "It's been fantastic to meet Prince Andrew, and it is a great honour to get recognition like this. It is an award for all the dozens of volunteers who work so hard to make Apex Challenge events such a success. We've managed to build an amazing team with a huge range of skills, and we are very proud that this has been reflected with this prestigious award." More details about the Apex Challenge can be found at www.apexchallenge.co.uk. 5 days to go - get ready for Apex! There are now just five days to go until Apex bursts into Temple Newsam near Leeds and you need to make sure you're ready for this ultimate overnight adventure. Directions - the last thing you want to do is get lost so print a copy out! Most important is that EVERYONE arrives with a consent form filled in. Download your consent form now. It doesn't matter if you are are Explorers or members of the Scout Network - you still need to complete a form and bring it with you. There are also adult information forms on the same page for leaders to fill in as well. Unload your car, then head to the Event Centre to check in. Remember, you can only check in when you have consent forms for all members of your team, so if one of you will be late send it ahead with the rest of the team! Also, it really helps us if teams come to check in one by one, rather than as groups of two or three times with their paperwork all mixed together. We can't wait to see you all for a great weekend of adventure!